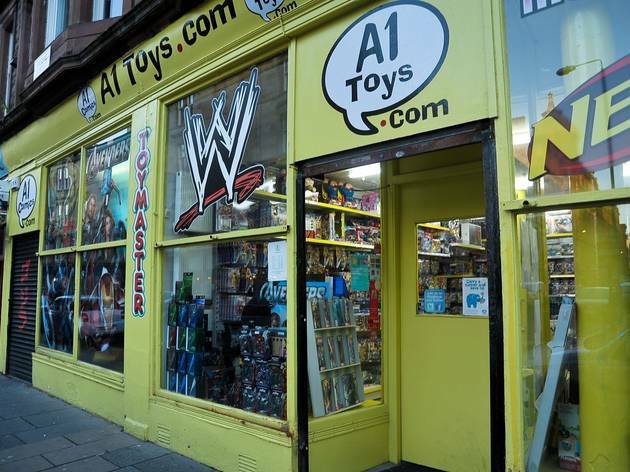 If Comic Book Guy from ‘The Simpsons’ worked in any shop in Glasgow, it would probably be this haven for unashamed comics, graphic novel and associated merchandise freaks in the Merchant City, easily identified by its appropriately bright yellow frontage. Although, in fairness, it’s a lot more welcoming than that comparison perhaps suggests. 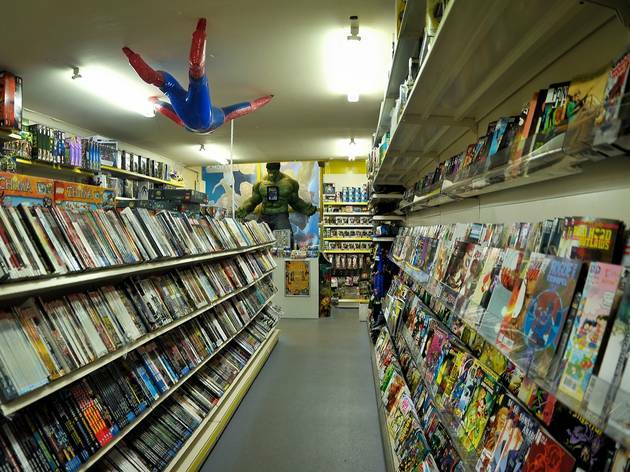 The range of stock covers both the Marvel and DC superhero universes, as well as more niche titles, from Neil Gaiman’s ‘Sandman’ series to ‘Buffy The Vampire Slayer’, and includes new releases, imports, back issues and more. 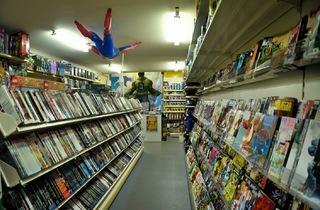 If staff here have superpowers of their own, it’s for knowing every nerdy detail of their products, being friendly and helpful to relative newbies and doing their very best to source all kinds of obscure comic book esoterica. There’s also a stock of books from independent publishers and local writers. 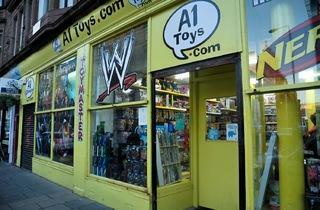 You’ll find lots of toys for grown-ups in A1 Comics too, from action figures to statues and prop replicas.